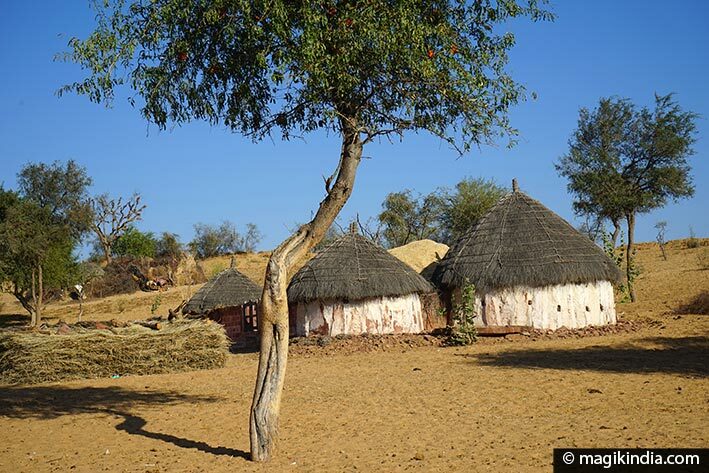 Gateway to the Thar desert, the hamlet of Osian – 70km from Jodhpur – takes us back in time to the days when camel trains trudged endlessly along silk road. Osian (oasis) was known in ancient times as a Vedic centre and in the days of the Gupta kings (320-550 CE) as an important halt for caravans on the silk road. It became a prosperous trading city under the Gurjar Pratihar dynasty (7th-11th centuries). It was also an important centre for the Jain faith in the 8th to 12th centuries. In the old days there were about a hundred temples in Osian, but most have not withstood time and successive invasions. Four temples stand out today: the Jain temple dedicated to Mahavira and the Hindu temples to Sachiya Mata, Harihara and Surya. The town was abandoned after attacks by the armies of Muhammad of Ghor in 1195. 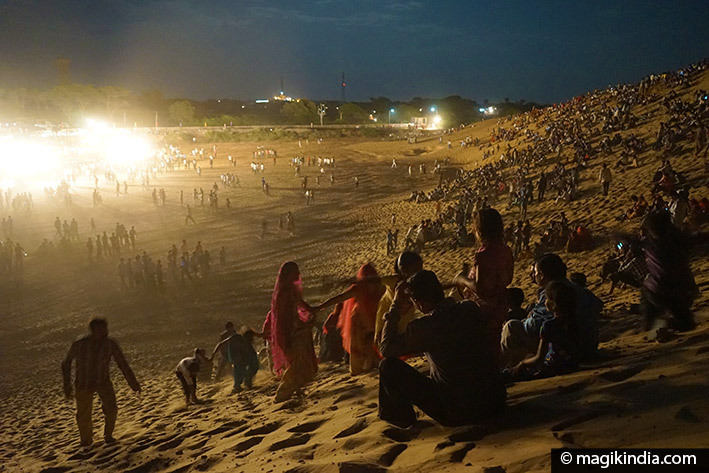 The festival’s main theme is the music and dance of the Marwar region. 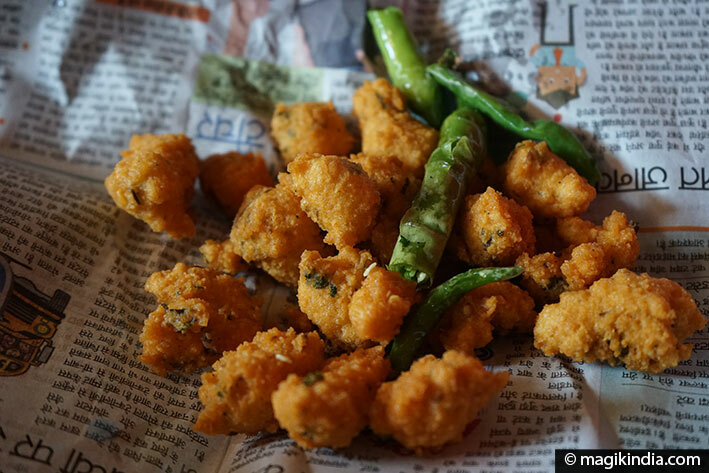 Osian is also famous for a culinary speciality called badha or dal Pakora, a kind of lentil fritter. The most famous place in Osian to taste it is the Jeevan Ji Wade Wale restaurant near the bus station. 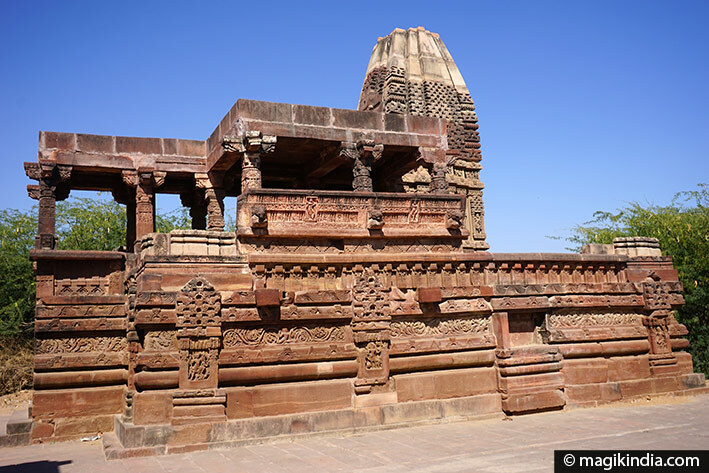 The Jain temple in Osian was built by the Pratihara king Vatsaraja in the 8th century CE. 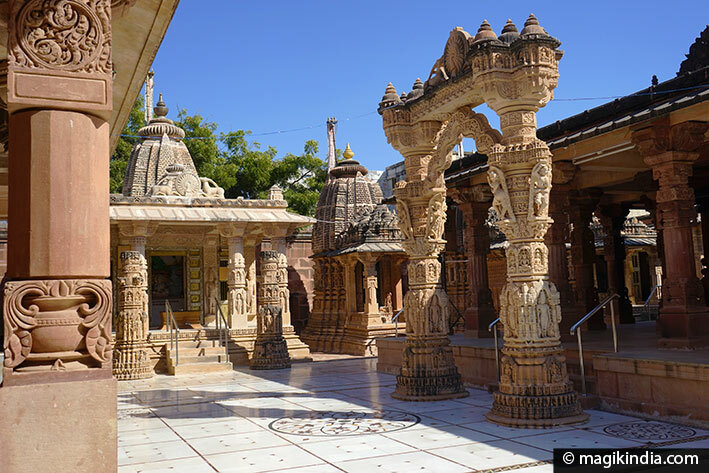 Dedicated to Mahavira, the 24th Jain Tirthankar, the temple is regarded as an important pilgrimage centre for Jains. It is famous for its astonishing architecture. The main entrance is sculpted with figures of young women and the torana (archway) leading to the main shrine is particularly finely worked. Sachiya Mata temple stands on a hill on the edge of the town. The existing complex, also called Shri Mataji Osiya, was built in the 12th century CE by Upaldev, brother of King Punj, on the site of an 8th-century temple erected by King Upendre Parmar. 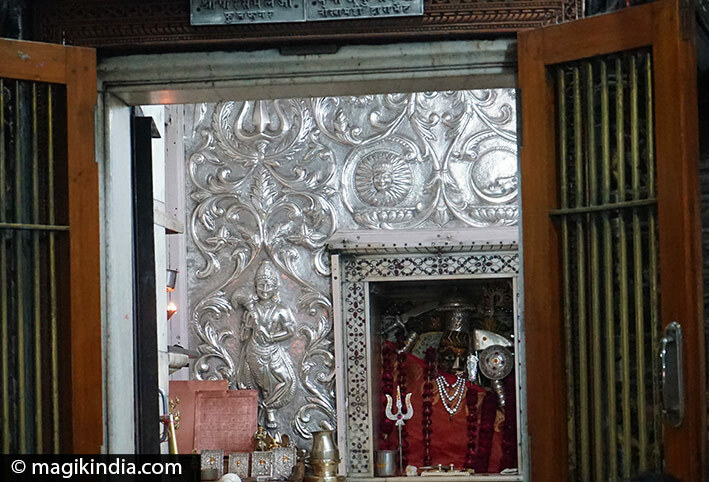 Sachiya Mata temple is devoted to the goddess Sachi Mata, Indra’s consort and one of the forms of Durga. She is worshipped as a kuldevi (patron saint) by Hindus as well as Jains. 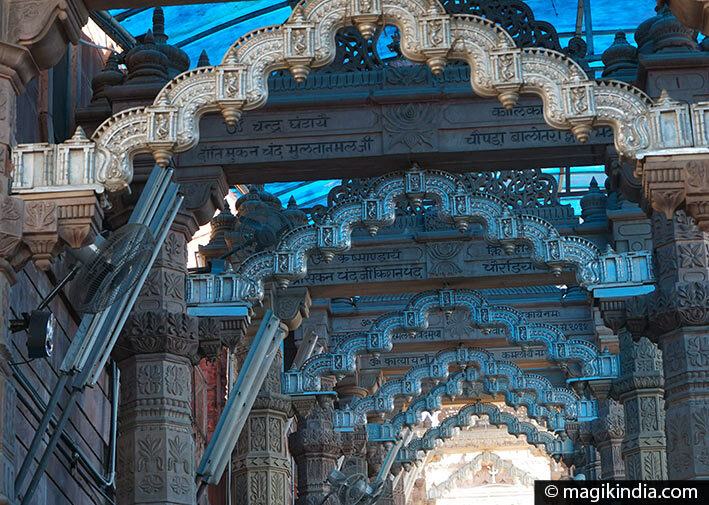 The way into the temple is through a series of archways, magnificently carved in the Jain style. The complex boasts two richly sculpted shrines, the Chandi Ka Mandir and Amba Mata Mandir. Three temples at the southern entrance to the town are particularly old. They date from the 8th and 9th centuries CE and are dedicated to Lord Harihara (a deity who is half Shiva, half Vishnu). 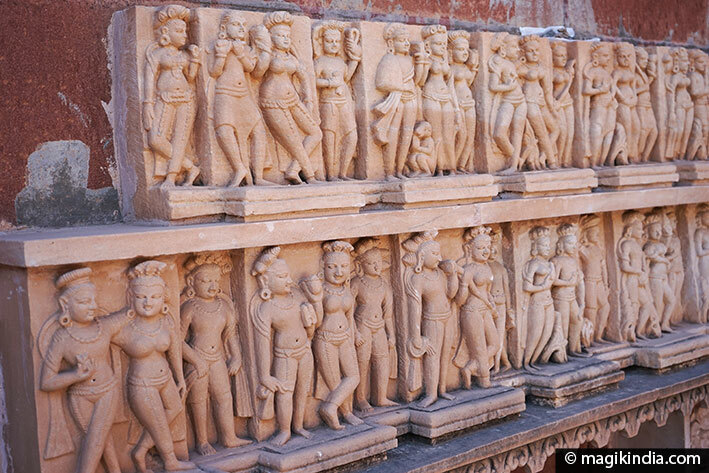 Standing on raised platforms, the temples are finely carved and decorated with sculptures. 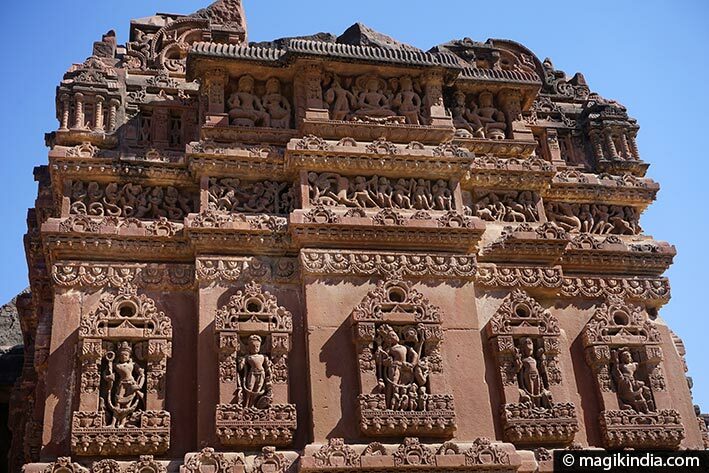 A group of temples to the west of the town includes the Surya temple, a sun temple built in the 10th century CE and boasting magnificently sculpted pillars. The shrine contains an idol of the sun god Surya. The temple ceiling is decorated with serpents twined around lotus flowers. 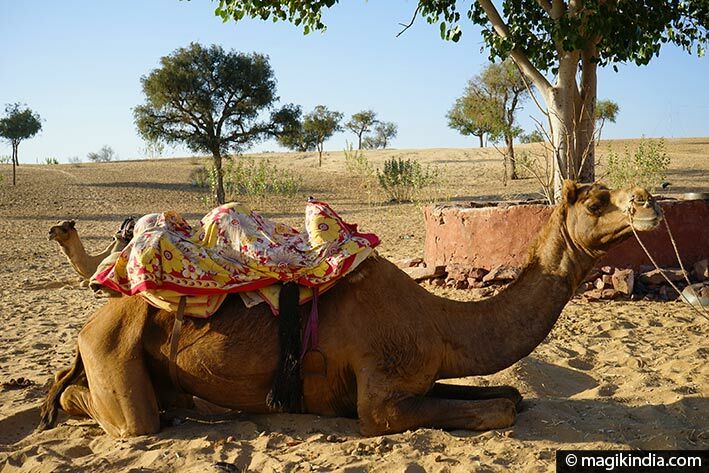 Apart from the temples, Osian’s charm lies in its close contact with the Thar desert. 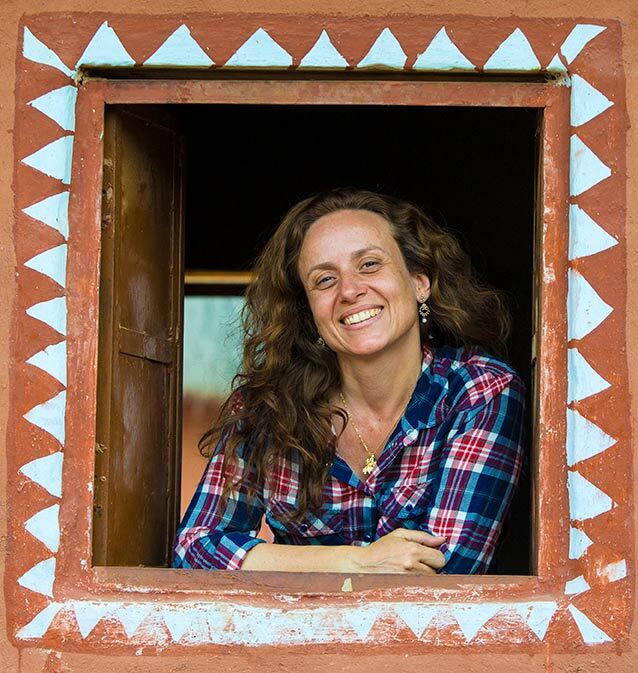 The landscapes are breathtaking and if you like tourist style outings, camel rides and camping in the desert are on offer.